View looking east along Esquimalt Avenue from 15th Street. 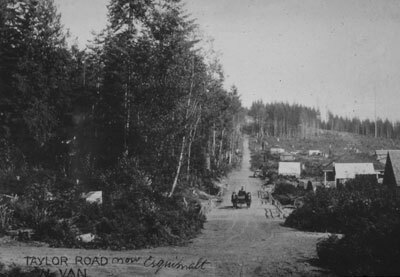 Original label on photograph reads: "Taylor Road now Esquimalt Avenue." Horse drawn carriage approaching photo along the road can also be seen.